TORONTO - The Electricity Forum Training Institute will hold a series of Arc Flash Training update courses across Canada in 2018, to bring industrial, commercial and institutional electrical engineering and maintenance personnel up to speed on the many changes taking place in the new edition of CSA Z462 – Workplace Electrical Safety. The 2018 Edition has been extensively revised and updated, and offers more criteria and guidance material, and has been aligned with the changes and revisions to the 2015 edition of the Canadian Electrical Code, Part I and the new Z463 Guideline on Maintenance of Electrical Systems. 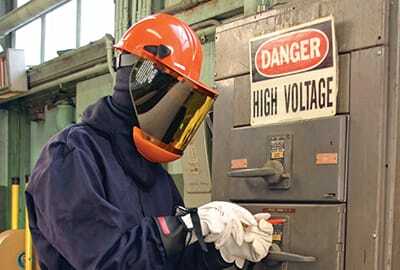 CSA Z462 (Canada's Arc Flash Standard) specifies workplace electrical safety requirements necessary for safeguarding workers during such activities as installing, inspecting, operating, maintaining, and demolishing electric conductors and electric equipment, as well as working in proximity of energized electrical equipment. The standard helps workplaces upgrade or establish an in-house electrical safety program, but also offers benefits to electrical contractors. Complying with CSA Z462 could make a difference between winning and losing contracts with customers who have electrical safety programs in place or who place a priority on hiring suppliers with proven health and safety performance. Compliance could also protect you and your employees in workplaces with no electrical safety program. What’s new in the 2018 Edition of CSA Z462? Canada's Arc Flash Standard provides details on recognized methods for identifying electrical hazards and risk assessment, and defines best safety practices and training for work on and around electrical equipment. • eliminating the prohibited approach boundary and HRC Category "0"
What is new in the 2018 Edition of CSA Z462 Workplace Electrical Safety Standard?